The Bakehouse, which was built as a draper's shop in 1925, and may have been rebuilt in c1930, is significant to Cardinia Shire as an example of a 1930s shop that was a key element in Bunyip's commercial centre. 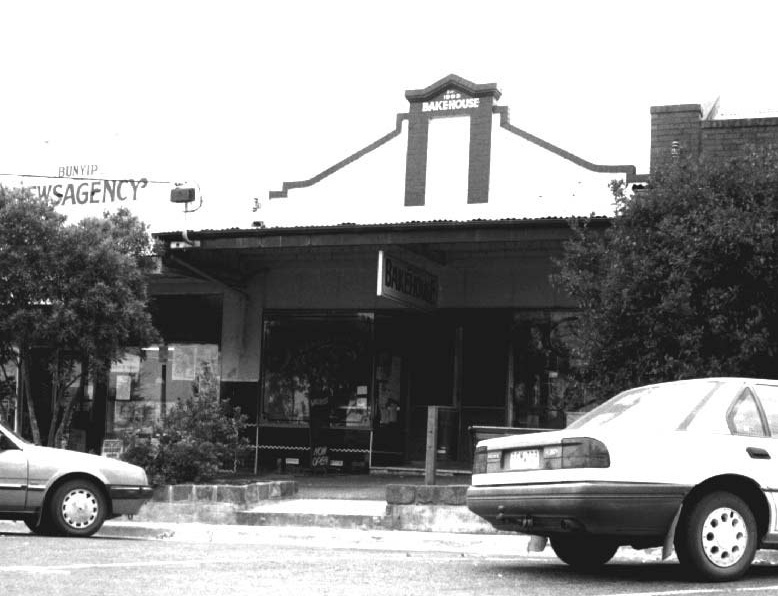 The building was occupied by various storekeepers over a long period, and is still part of Bunyip's commercial centre. It has significance, too, for its associations with James Hadley Rice and Mrs Annie Williams who were among the earlier storekeepers. Like 20-22, this is a parapeted shop with cantilever awning, recessed entries and tiled shopfronts which resemble 18 and 20-22 Main St. The brick parapet (over-painted), with its high Dutch gabled form again appears to from the Edwardian-era or 1920s but this apparently is not the case. The shopfronts are typical of the 1930s. The shop is externally near original except for the painted brickwork.